While I was going through my reader last night, I came across a post from Creature Comforts. 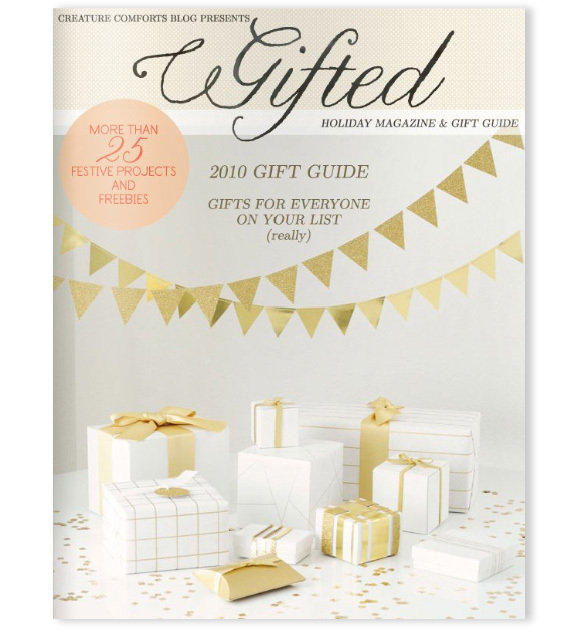 They just released their Holiday Magazine & Gift Guide titled Gifted Magazine. It has a great article with one of my favorite artists, Anna Bond, from Rifle Paper Co. Also, the gift guide is truly inspirational for a girl that hasn't started her holiday shopping yet. I definitely recommend checking it out, there are some great DIY's too!